Marriage is a time where you have a lot of decisions that you will need to make. There are two people involved, and possibly more when you think about a family. A lot of people end up feeling scared and helpless when a marriage is on the horizon, because the idea of pooling resources and building financial goals together is definitely going to be a serious matter. You don’t want to delay matters, but at the same time, you don’t want to feel like you have to struggle just to prove to other people that you can make things happen in your relationship. First and foremost, before you do anything, you need to still make sure that you are prepared to get married. Marriage is an important decision, and it shouldn’t be taken lightly. You will be spending a great deal of time with the person you marry, and even if you feel that it’s not something you want to pursue, you shouldn’t do it. Divorce is very costly, which is why the idea that you will just “divorce if you don’t like them” isn’t a very solid plan. Communication is really the name of the game here. You might think that it’s okay for one person to make all of the decisions, but you definitely don’t want to go down this road either. it’s too easy for someone to turn around and tell you that they really didn’t want to make those decisions, and that you bullied them into making choices that they wouldn’t have made if you had backed off and let them choose. While that’s not fair, that is the way it is. Proper communication is truly a must for a solid marriage. But what about the financials? A lot of people overlook the type of money issues that can really sink a marriage, and it’s the financials that we’re going to cover today. So once you know that you’re in the right mindframe to talk about money, you should definitely consider the following points in your overall conversation. Now, before we begin, another warning has to be understood — we’re not telling you to just go out and have this conversation in one long chunk. In fact, if you’ve really gotten serious about the person that you want to be with, you definitely don’t want to just go out and have a long conversation. The issues around money should be something that you already talk about with the person you want to marry. The first thing that you should consider is what type of goals the both of you have. Homeownership is one of the largest reasons why people marry, because they want to pool both incomes together and get a home. However, you will need to make sure that you really think about the type of house you want, as well as the steps that you will need to take with your future spouse in order to own property. You need to ensure that everyone involved is willing to pay equally on the house. In addition, you also need to talk about what would happen to the house if the two of you decide that things aren’t working out. It’s a complicated legal process as it is to buy a house, and you shouldn’t overlook that at all. Another point that you might need to talk about is how money will actually be shared. A lot of people hate the idea of joint accounts, but they’re a good way to symbolically declare that you are a shared unit. However, a lot of people still see it as “their money” and it tends to get messy. In order to keep things from flying out of control, you will want to make sure that you really sit down and talk to your potential spouse — and better yet, get it into writing. Speaking of writing, you’re probably wondering whether or not you should mention the possibility of a pre-nuptial agreement with your spouse. A lot of people think it’s unromantic, but we argue that a pre-nuptial agreement is one of the best gifts that you could give to each other. Simply put, when you decide to talk rationally and build a pre-nuptial agreement, you’re essentially talking about freeing each other from the messy aftermath of a divorce. Yes, there will still be hurt feelings — after all, you are essentially either being rejected by your spouse, or you are the one doing the rejecting. That’s a hard pill to swallow. The pre-nuptial agreement is a gift that says that some things are more important than just material possessions. It’s not a matter of taking someone to the cleaners or hurting the other person by not giving them a dime. It’s all about making sure that the terms are spelled out so that there can be no feeling of betrayal when the divorce occurs. There are no bloody arguments about who gets what. By having a pre-nuptial agreement in place, everything is already spelled out. Believe it or not, these agreements aren’t just for people that have a lot of money. Regular people have so much to lose in a divorce, so it’s actually a good idea to make sure that you have taken matters into your own hands with a pre-nuptial agreement. Keep in mind that you will want to probably have a lawyer draw up an agreement. It can cost a little money up front, but it’s an investment in your future — don’t skip over it! One area that a couple really needs to think about is children. A lot of people really don’t give the subject as much thought as it deserves, but your feelings on children have a role on your finances. If you feel that children are a must in your life, you definitely want to make sure that you already prepare ahead of time to have them. This means focusing on stability as much as possible. Yes, it’s true that no one can ever fully prepare for children, but it definitely helps to already start your marriage out right by saving what you can. Overall, as you might have already guessed, there are definitely a lot of things to think about when you’re really trying to prepare for a great life with someone. If you really take the time to talk these issues out in a clear manner — without screaming and yelling — then you will definitely be on your way to a great life! Tax time for business owners is a pretty stressful time. Even if you’ve decided to outsource the work to an accountant, you’re going to find that you really need to make sure that your records are in order. Just because you’re focusing on recordkeeping doesn’t mean that you have to skip over the important pieces — like realizing that you might have some deductions and business expenses that you don’t even realize are actual expenses. The truth is that you really need to ensure that you will be able to claim these deductions, because it’s going to mean that you will be able to pay fewer taxes. There’s nothing wrong with paying less taxes as long as you plan for this in the most legal way that you can. It’s one thing to try to pay less taxes but it’s a completely different thing to try to do it in a way that’s going to get you audited — after all, who really wants to deal with that? It’s just better to make sure that you have everything in order. Now, what you need to know about that little hidden deduction is simple — you will need to make sure that you think about getting any business loan interest and payments deducted from your taxes. Of course, you might be a little nervous — you can’t remember a time where you could deduct the payments you make to a regular loan company. However, in the business world, if you are paying money out for a qualified loan, that’s a legitimate business expense. You will be able to deduct the amount of payments that you made in that tax year that you’re filling. This can reduce your total income down in a great way. What you’ll need to do in order to claim the deduction is to go back and look at the money that you’ve actually paid out. You will need to make sure that you are actually able to make the deduction work if you are audited for any reason — the IRS will want to make sure that you actually have the documentation that says you’ve paid that loan payment each and every month. It can be a cancelled check series or even a bank statement if you have it set to come out of your account. The IRS just wants to make sure that you’re not going overboard. Now, if all of your deductions bring your taxable income down to zero and even below that point, you might have excess expenses that can be carried over to the next tax year. Don’t waste those deductions — do exactly what is meant by the name carry over — carry over those losses to the next tax year. You can do this for up to 5 years in a row, and it’s a great way to start your next tax year off right. So, what if you had this business deduction hanging around all this time before and you never claimed it? Well, if that’s the case, you can go back and amend other tax returns — up to three years prior. If you’ve had a loan for a long time, that could mean a sizable refund check coming your way — look back and see if the amended return process will be worth it, considering the amount of money that you could get back. Again, business loan payments are truly a qualified business expense. However, since this information is general it’s best to consult with a tax professional before you turn in your tax return. Filing for bankruptcy is a pretty tough decision. In fact, if you asked 10 people on the street at random, there are good chances that many of them would mention fighting debt and handling their finances as a big, tough decision. Filing bankruptcy is a way that many people go to finally take care of their debt. Now, you might feel like bankruptcy is something that you should never consider, but the truth of the matter is that there will come a time where you have to stop and think about what is best for you and your family. Do you really want to come to a point where you won’t be able to take care of your family’s needs because you’re literally covered in debt? However, filing for bankruptcy is not something that you should do on your own. You need to really think about getting expertise on your side, which means you will need to get a bankruptcy attorney. You can’t just pick the first name that you see, or even the first site that you search for. Your family’s future is at stake, and when you contract the services of your lawyer for a bankruptcy, you’re putting your family’s life into their hands. Whoa. That’s heavy, on many levels. However, we can’t get around the serious nature of picking the right bankruptcy lawyer, the first time around. Not sure how to do that? That’s what we’re here for — here’s what you need to know in order to get the job done right. First and foremost, you will need to look through your circle of friends for any referrals that they can give you. Of course, this implies that your friends will know that you’re applying for bankruptcy, but this shouldn’t be one of your first concerns. After all, you will need to think about your family’s future no matter what. If you’ve gotten a few leads, this is a great time to actually go and melt your attorney in person. If you can go with a local firm, then this is definitely what you want to do. You want to be able to come into the office and ask questions at any time. You want to go with the law firm that has the most professionalism. Bankruptcy tends to bring out the most stressful side of human living these days, and you want to have a bankruptcy attorney that is truly an advocate for you. Make sure that you really check out their references and also their certifications — you want to make sure that they truly have the credentials that they say they do. Bankruptcy is something that gets thrown around a lot, and there are a lot of crooks hiding among great attorneys — make sure that you know the difference! What you will need to do next is figure out what you want to avoid. For example, if you know that the lawyer in question has a history of slight bias from the reviews you receive from others, you will want to avoid them. When you’re speaking to the attorney directly, you will need to be wary of any attorney that makes guarantees or specific claims. Bankruptcy is something that changes rapidly, and the laws can get hazy. You never know what will be guaranteed, because it’s up tot eh courts to ultimately decide, especially in very sticky cases. Now, if you have a simple bankruptcy, your process could be straightforward. Still, it’s never a bad idea to have representation just in case something doesn’t go your way. Ultimately, it’s a matter of having constant contact. Bankruptcy is something too important to just “set and forget”, so if you’re looking for that you might want to look elsewhere. Ready to get started? 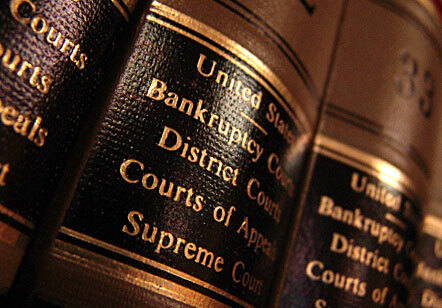 Great — contact a bankruptcy attorney in your state today! 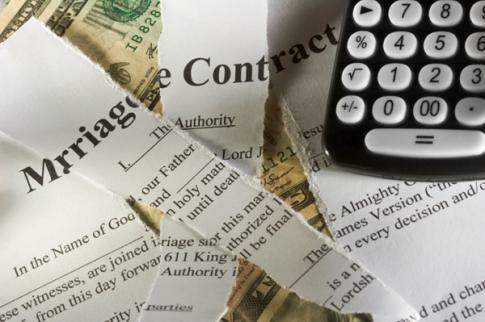 Is There a Proper Time to Divorce Without Messing Up Your Finances? We’re going to go ahead and warn you up front — this article is all about strategy. It’s hard for some people to deal with the fact that you have to plan when you’re going to make life changes, but hey — you’re going to have to plan. In a perfect world everything would just align itself properly, but this world is far from perfect. So if you really want to make things happen, you’re going to have to just push forward with the best strategy you can get. Divorce is a financial issue, not just an emotional one. If you’re the one walking away, you’re going to need to think about your financial future. If you have children, it’s even more important to really amok sure that you focus on the financial side of things. Your children deserve to have as little interruption of their lives as possible. A lot of people just assume that divorce is going to be what it’s going to be, so they don’t even try to make things turn out differently. Don’t fall into this trap. Children — yes, it’s true: children can definitely make a divorce a lot more complicated. One thing that you should definitely try to do is be reasonable for the children’s sake. If that means that you have to give up an asset in exchange for better custody terms, do it — it’s just material stuff that you can always get more of. Can you really replace your children? We didn’t think so. Your home — Real estate is something that’s always a bit complicated. However, it doesn’t have to be. Just as you can compromise on other issues, you can compromise on the house that both of you shared while married. First and foremost, you will want to make sure that you talk to your spouse and see what they want to do. You should never assume that they will just want to stay in the house when it’s clear that they might want to do something else. The last thing that you should ever try to do is force someone to be somewhere that they don’t want to be. Instead of selling the house, you might offer to give up other property that is equal to the spouse’s part of the equity in the home. Of course, if you’re in a depressed market, then you won’t have to give up too much — there might not be any equity in the home. 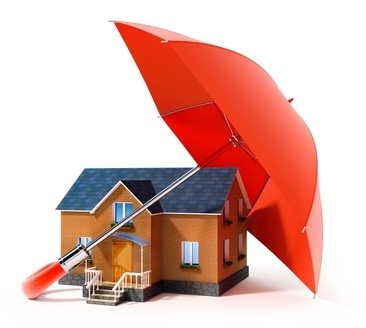 Therefore, you being on the hook for the mortgage payments can become another compromise. If you’re having problems with your divorce, hiring an attorney is definitely the best way to go. Even if things start nice enough, they always have a potential to turn incredibly worse. That’s when people start making bad financial decisions that cause problems for the long term. It’s better to stay focused and realize that just because the marriage is over doesn’t mean that you should get nasty or emotional. It’s hard to be the logical one when someone else wants to be upset, but that’s where good counseling comes in. If you can get the other person to go with you, “exit counseling” can really come in handy. It just depends on what you really want to do and how you want to do it. Overall, now is definitely the time to get strategic about your divorce. You might want to be the good guy but the truth is that if you aren’t going to be strategic, you can bet your whole paycheck and then some that the other party is thinking about their own strategy. It’s every person for themselves in a divorce, but thinking clearly about the whole process can definitely save you a lot of time, a lot of money, and a lot of heartache down the line! Is It Ever Possible to Save Money on a Wedding? Ah, weddings. Even though the weather is shifting into more of a cold cycle, that isn’t stopping people from dreaming about a nice fall wedding. However, there comes a point where dreams have to become reality, and reality always comes with a price tag. Sorry if that’s not romantic for you, but the reality is that you will have to make sure that you can pull off a wedding. Far too often people worry about the image that they will have on their wedding day, when they really need to worry about their pocketbooks. It’s been shown that couples cite finances as the top reason for a divorce. Would you really want to start one of the most important phase s of your life badly because you wanted to have a super weeding? Don’t think that we’re only picking on the women, either — there are some men that feel that they must put on the best show to really prove that they’re a good provider. The reality here is that providing should mean having the best foundation, not the best wedding. If you have your debts in order and an emergency fund in place to catch you when life gets a little too uncertain, then you’re actually in a lot better position than most people would be. It’s something that you will need to make sure that you’re actually thinking of more than anything else. OK, so let’s get back to the big day, shall we? A lot of people wonder if it’s ever possible to truly save money on a wedding, or if it’s just wishful thinking. The reality is that everything in life is negotiable — especially if it’s popular. You will just need to make sure that you employ a little bit more planning if you can otherwise help it. Indeed, you want to make sure that your partner understands that there are some things that you will spend money on, some things you won’t, and other things that you will compromise on. If you’re going to marry someone, chances are good that you should already know their financial philosophy on life. The last thing that you want is to marry someone that is compelled to spend money no matter what — that’s an imbalance that’s bound to start problems, so you will need to make absolutely sure that you’re ready to handle up on just about anything that comes your way. You will want to make sure that you set a budget at the beginning that works for both of you. If it’s too high, one of you is going to be upset. If it’s set too low, then the other person might be upset. It’s important to talk things out. After all, if you can’t talk about your wedding, how are you supposed to actually pull a wedding off? You have to look at everyone’s concerns and then do what feels right. It can be tempting to just assume that you should give in, but think about it — if you’re going to constantly give in when there’s conflict, resentment is going to grow. You’re going to be sick of being the financial voice of reason all of the time. Why not make sure that everyone is in agreement before you start putting actual money into things. That’s all we’re trying to say. The bottom line is that no one can make you save money on a wedding unless you want to save money on a wedding. You will need to find the times of year where venues aren’t busy in your city and see about negotiating rates. You don’t have to tell people it’s for a wedding. In fact, if you just tell them it’s for a family reunion you’ll probably get better rates. A lot of people tend to raise the price because it’s a wedding, you’re stressed out, and it’s highly likely that you’ll just spend money without thinking about it. Hey, it snags a lot more people than you think. Don’t give in to the pressure of what your wedding should look like. If you want to get married on a farm and make the whole thing about two thousand dollars, so be it. If you want to go all out and have the dream storybook wedding, then you can do that too. Just don’t sacrifice the things that really matter just to have that big over the top wedding, either. Make sure that it’s something that will leave behind memories you’ll cherish for a lifetime — even if the marriage doesn’t work out. Keep these points in mind and you should be just fine!